Taqueria del Sol – Mexico in Atlanta? No, BETTER! Long time no blog. Been traveling. 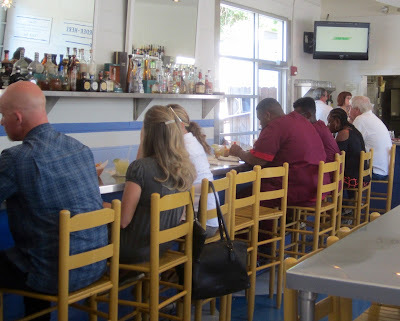 Beaches, sunshine, fried shrimp, plump oysters on the half shell. But (yawn), you don’t want to hear about my vacation. You’ve already browsed stacks of Facebook photos. Same silly, squinty grins. Same wind blown hair and and salty tans. Let’s move past grinning on the beach and get to very serious Mexican style food. So, you noticed the sly injection of ‘style’ in the last sentence? No mystery. 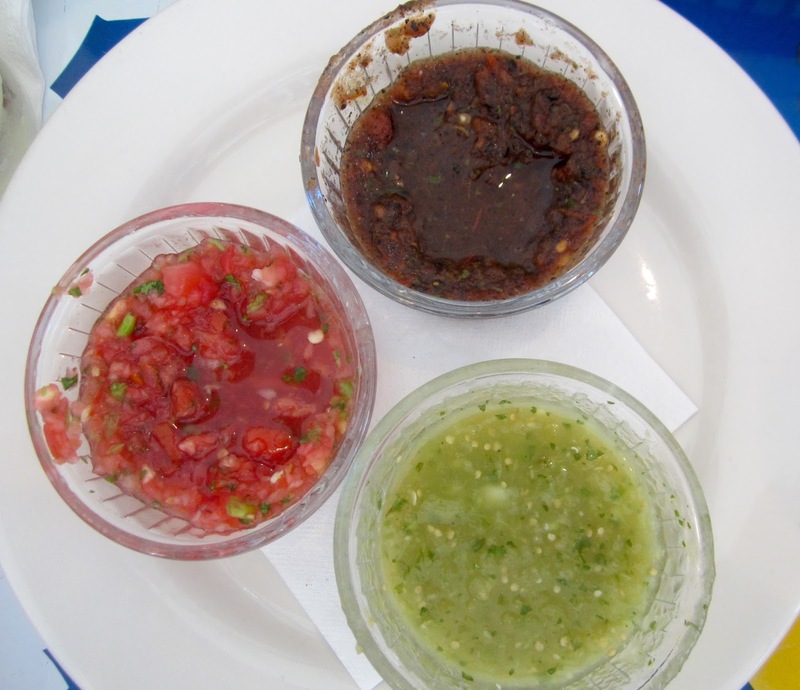 Succulent dishes at the Taqueria del Sol in Atlanta, Georgia go far beyond the expected. Just in the mood for a quick Mexicanish snack? Fine, go through the drive through at Ring-a-ding Bell. But, if you’re serious about the unexpectedly wonderful cuisine that exploits the grand horizons of South-of-the-Border kitchens, head to Taqueria del Sol, or ANY restaurant where Eddie Hernandez dons his apron and lights the fires. No need to wear a suit, or take out a loan. 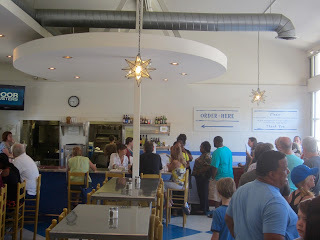 This stupendous food is very affordable and the service is casual. More than likely, Eddie doesn’t remember my various trips to his Azteca Grill in Jonesboro (no longer his), but I remember him and I take pains to follow wherever his culinary travels take him. Can’t get to one of the two Taquerias in Atlanta? Try the one in Athens or Decatur Georgia, or Nashville Tennessee. A tiny vignette concerning Eddie and what makes him special. I have a couple of friends, actually a married couple, who’ve been Eddie Hernandez groupies for years. One night at the Azteca Grill, Eddie dropped by their table, as he often did, and recommended the turnip greens. Really? Turnip greens? Yep. How did that happen? They asked. “A friend brought me a bunch of turnip greens. I didn’t know much about these greens, but the friend brought me a lot of them, so I figured I’d better learn.” Learn he did. They’re still hauntingly delicious and on the menu at Taqueria del Sol. Eddie has the kind of magical mind that turns a common southern staple into something so fragrant and flavorful you find yourself dreaming about it and waking up in the middle of the night. What did he do that was so different? Turnip greens need to have the fool cooked out of them. Eddie did that, and my guess is, he added chicken broth, onion, garlic, cilantro, and enough jalpeños to tease, without startling. But, even with those ingredients, make no mistake, the star of the show is still the bowl full of luscious turnip greens. Even if you try making them at home, they’re not going to taste the same because, as I said, Eddie has magic. 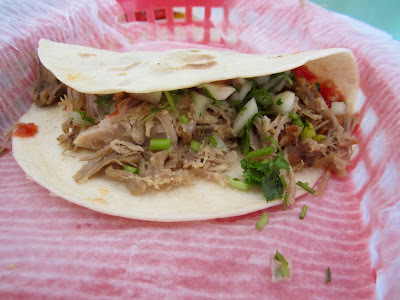 Soft taco featuring smoked pork. Three salsas for chips and food! Eddie’s magic transforms everything. My go-to tests for Mexican food are enchiladas and chili relleños. Why? Because you can tell with one taste if this restaurant is worth the money. 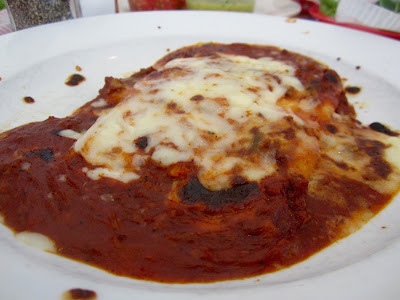 Is the enchilada sauce homemade? Does cheese flow out of the chilis, and have they been dipped in a light enough batter to make them crispy on the edges, without a heavy flavor of cooking oil? 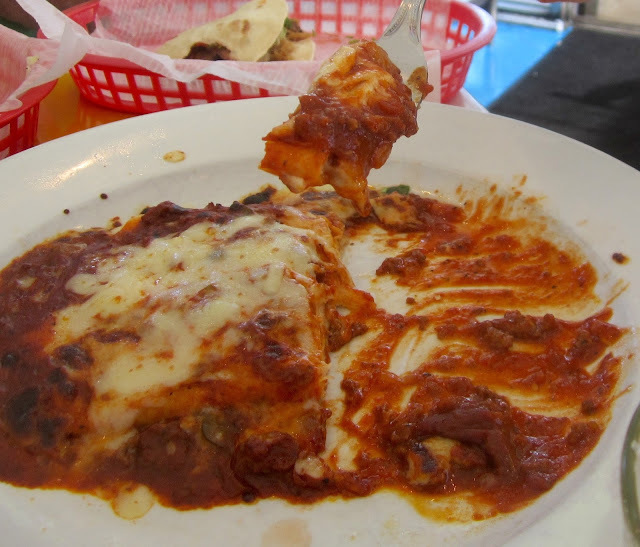 At the Taqueria del Sol, the enchilada red sauce is far and away the most delicious I have ever tasted. Made and flavored right in Eddie’s kitchen. No shortcuts and every forkful a delight. And, yes, I have been to Mexico City, Arizona, Texas, New Mexico, and California. The relleños? The green chili flavor pops through the mild cheese and lightly fried batter. You have no idea how many times I’ve been disappointed at pseudo-Mexican joints, but like your first girlfriend’s kiss, Taqueria del Sol’s are relleños that make you salivate, then lock away in your box of culinary memories. The restaurant's fabulous crab cake sandwich. But, standard fare is not the half of what this restaurant’s out-of-the-box approach offers. 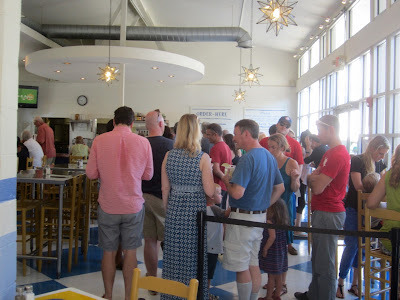 The day we visited, the specials included a crab cake sandwich, a chicken fried steak with roasted jalapeño gravy, and a taco with Latino marinated pork and Chino kimchee! 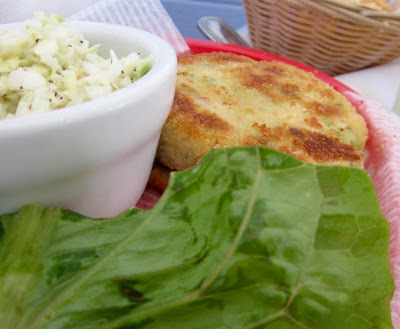 Even the folks in Maryland would marvel at the crab cake sandwich. Everything on the menu is fine and richly flavored cuisine at bargain prices. Just to give you a hint, the crab cake sandwich was $9.99 and the previously mentioned turnip greens are $2.49. Margaritas as they should be: Tequila, lime, and only a hint of sugar. How about drinks? Margaritas as they should be mixed! No syrupy goop. You wanted to sparkle brightly at the first taste of tequila, right? You like the bite of lemons and limes. 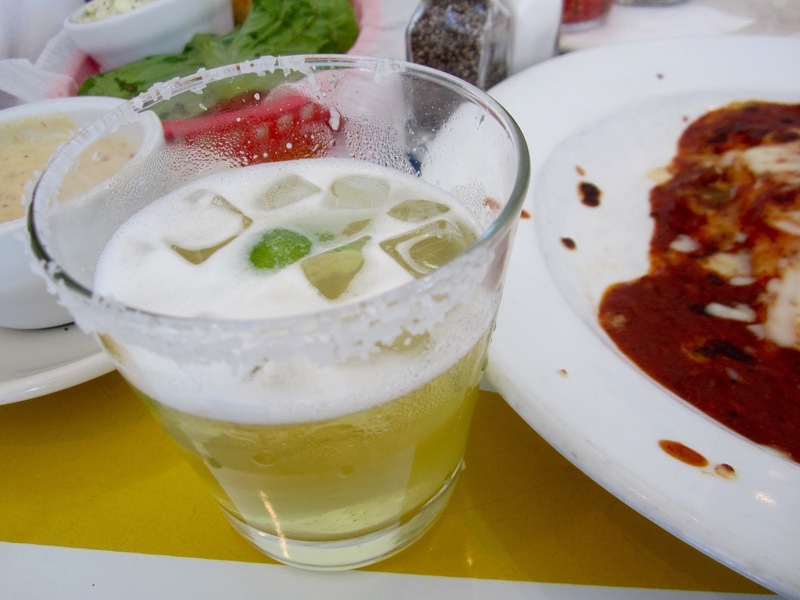 But, maybe a Margarita (Daisy in English) is not on your mind. Maybe you need a shot or two to lighten your burdens and sooth your savage soul. At Taqueria del Sol, more than fifty tequilas and mezcals stand at attention, waiting to follow your orders. Need a chilled brew? Oh, yeah, all your Mexican brewed favorites, plus many more native species and even more bottles from around the globe. Anything else? Of course. 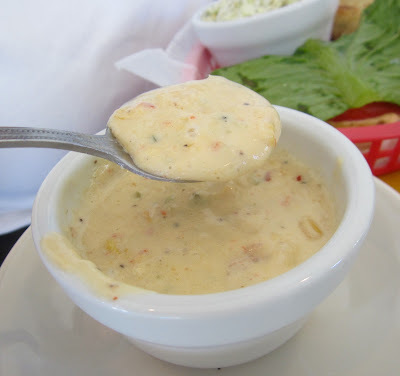 Don’t you dare leave without at least a cup of the Shrimp Corn Chowder and a dish of the Jalapeño Cole Slaw. Think this restaurant is a secret? Here’s a hint. People are lined up for a city block when it opens for dinner, and even with the restaurant bulging to capacity, there’s still a line. Taqueria del Sol is THAT kind of special and Eddie is THAT kind of chef.